Plasma TVs, like LCD TVs, are a type of flat panel television. Although they both look very similar on the outside, on the inside, there are differences. In our guide, find out what you need to know about plasma TVs. In Late 2014, Panasonic, Samsung, and LG all announced the end of Plasma TV production, effectively discontinuing this type of TV. However, they may still be sold via clearance and in secondary markets, so the following information will remain posted on this site for historical reference. Plasma TV technology is similar to that used in a fluorescent light bulb. The display panel consists of cells. Within each cell, two glass panels are separated by a narrow gap in which neon-xenon gas is injected and sealed in plasma form during the manufacturing process. The gas is electrically charged at specific intervals when the Plasma set is in use. The charged gas strikes red, green, and blue phosphors, creating a TV image. Each group of red, green, and blue phosphors is called a pixel (picture element). Plasma TV tech is different from its immediate predecessor, the traditional Cathode Ray Tube, or CRT TV. A CRT is a large vacuum tube in which an electron beam, emanating from a single point in the neck of the tube, scans the face of the tube very rapidly, which, in turn, lights up red, green, or blue phosphors on the tube's surface in order to create an image. The main advantage of Plasma over CRT technology is that, by utilizing a sealed cell with charged plasma for each pixel, the need for a scanning electron beam is eliminated, which, in turn, eliminates the need for a large Cathode Ray Tube. This is why CRT TVs are shaped more like boxes and Plasma TVs are thin and flat. Early Plasma TVs had a half-life of about 30,000 hours. However, due to technology improvements made in recent years, most plasma sets have 60,000-hour lifespans, with some sets rated as high as 100,000 hours. What a lifespan rating means is that a Plasma set will lose approximately 50% of its brightness during its rated lifespan time. Based on even the modest early 30,000-hour rating, if such a Plasma TV is on for 8 hours a day, its half-life would be about 9 years. If on 4 hours a day, the half-life would be about 18 years (Double these figures for a 60,000-hour half-life). However, more recent sets may be rated at 100,000 hours. This means that if you watch TV for 6 hours a day, you will have an acceptable viewing experience for about 40 years. Even at 24 hours a day, a 100,000-hour half-life is still about 10 years. Just as with any TV technology, display lifespan can also be affected by environmental variables, such as heat, humidity, etc.. However, in most cases, a Plasma TV can provide many years of satisfying viewing. Keep in mind that a CRT TV loses about 30% of its brightness after about 20,000 hours. Since this process is very gradual, most viewers aren't aware of this effect, except for the need to periodically adjust the brightness and contrast controls to compensate. Although the performance of individual Plasma TVs can vary, as a product class, a Plasma TV can deliver many years of acceptable viewing. The gas in a Plasma TV does not leak in such a way that more gas can be pumped in. Each pixel element is a completely sealed structure (referred to as a cell), which includes a phosphor, charging plates, and plasma gas. If a cell fails, it cannot be repaired physically or by "recharging" the gas. If a large number of cells "go dark" the entire panel needs to be replaced. Can a Plasma TV Work at High Altitudes? Decreasing external air pressure present at higher altitudes can be a problem for plasma TVs. Since the pixel elements on a plasma TV are actually glass housings containing rare gases, thinner air causes greater stress on the gases inside the housing. Most Plasma TVs are calibrated for optimum operation at, or near, sea level conditions. As altitude increases, Plasma TVs need to work harder in order to compensate for the difference in external air pressure. As a result, the set will generate more heat and its cooling fans (if it has them) will work harder. This may cause a "buzzing sound". In addition, the previously mentioned 30,000 to 60,000-hour half-life (depending on brand/model) of the Plasma screen will be reduced somewhat. For most consumers this is not an issue, however, there are considerations if you live in an area over 4,000 feet above sea level. If so, check with your retailer to see whether there might be an issue. Some Plasma TVs are robust enough to work well at altitudes of up to 5000 feet or more (in fact, there high altitude versions of some plasma TVs that can hold up as high as 8,000 ft). If you live in a high altitude area, check out Plasma TVs at your local dealer. While there, put your hand on the unit and compare the warmth from the extra heat generation and listen for the tell-tale buzzing sound. If it turns this is not acceptable, consider an LCD TV instead. Do Plasma TVs Generate Heat? Since Plasma TVs use charged gas, the set will be warm to the touch after being in operation for a while. Since most Plasma TVs are wall or stand mounted, with plenty of air circulation, under normal circumstances, heat generation is usually not an issue (refer to the previous section on high-altitude use). However, Plasma TVs do use more energy than a standard CRT or LCD set. Avoid placing a Plasma TV in a tight space so that it has enough room to dissipate the heat that it generates. In order to display smooth images, TVs employ refresh rates and motion processing. LCD and Plasma TVs typically have a 60hz refresh rate, but that is not always enough. To enhance motion response, Plasma TV employs an additional technology, which is referred to as a Sub-Field Drive. Many TV buyers think that the sub-field drive rate is comparable to the screen refresh rates used in LCD TVs. However, the sub-field drive rate on a plasma TV actually refers to something different. Check out the details. Are All Plasma TVs HDTVs? In order for a TV to be classified as an HDTV or HDTV-ready, it must be able to display at least 1024x768 pixels. Some early model Plasma TVs only display 852x480. These sets are referred to as EDTVs (Extended or Enhanced Definition TVs) or ED-Plasmas. EDTVs typically have a native pixel resolution of 852x480 or 1024x768. 852x480 represents 852 pixels across (left to right) and 480 pixels down (top to bottom) on the screen surface. The 480 pixels down also represent the number of lines (pixel rows) from the top to the bottom of the screen. ED resolutions are fine for DVDs and standard digital cable, but it is not true HDTV. Plasma TVs that are capable of displaying HDTV signals accurately have a native pixel resolution of at least 1280x720 (720p) or higher. 852x480 and 1024x768 represent higher resolutions than standard TV but is not HDTV resolution. 1024x768 comes close, as it meets the vertical pixel row requirements for a high definition image, but does not meet the horizontal pixel row requirements for HD. As a result, some manufacturers labeled their 1024x768 Plasma TVs as EDTVs or ED-Plasmas, while others labeled them as Plasma HDTVs. This is where looking at specifications are important. If you are looking for a true HD-capable Plasma TV, check for a native pixel resolution of either 1280x720 (720p), 1366x768, or 1920x1080 (1080p). Since Plasma TVs have a finite number of pixels (referred to as a fixed-pixel display), higher resolution input signals must be scaled to fit the pixel field count of the particular Plasma display. For example, a typical HDTV input format of 1080i needs a native display of 1920x1080 pixels for a one-to-one point display of the HDTV image. By the same token, if you have an EDTV with 852x480 resolution, any HDTV signals will have to be scaled down to fit an 852x480 pixel field. This means that the resolution of the image viewed on the screen does not always correspond to the resolution of the original input signal. When considering a Plasma TV, make sure you check whether it is an EDTV or an HDTV. Most Plasma TVs support 720p or 1080p native resolution, but there are exceptions. Don't get confused by the TV's input signal resolution compatibility vs its actual native pixel display resolution ability. There are no Plasma TVs that display 4K resolution with the exception of very large screen units made for commercial use only. Will a Plasma TV Work With My Old VCR? All consumer plasma TVs will work with any existing video component with standard AV, component video, or HDMI outputs. The only cautionary note about using it with a VCR is that since VHS is of such low resolution and has poor color consistency, it will not look as good on a large Plasma screen as it does on a smaller 27-inch TV. To get the most out of your Plasma TV consider using a Blu-ray Disc or Upscaling DVD player as at least one of your input sources. What Else Do You Need To Use A Plasma TV? Blu-ray Disc and/or DVD player (Upscaling DVD player desirable), VCR, video game console, satellite or cable box, and media streamer. In addition, some Plasma TVs will accept an input from your PC. A sound system. Although some Plasma TVs have an internal sound system, it is best to connect it to a sound bar, or better yet, a home theater receiver for optimum enjoyment. A surge protector (which is good advice for any component in your system). Connection cables to connect your Plasma TV with your other components. Is a Plasma TV Better Than Other Types of TVs? Despite the fact that Plasma TVs have been discontinued, there are some that still think that they are still superior to other types of TVs. Here are some things to keep in mind. Plasma vs LCD: Both types of TVs are flat and thin and can be hung on a wall or placed on a stand, but employ different technology to deliver similar results. Plasma TV Advantages: For Plasma TVs, advantages over LCD, are: Better contrast ratio, better ability to render deep blacks, more color depth, and better motion response that reduces trailing or ghosting on a fast-moving image. Plasma TV Disadvantages: Plasma TVs are not as bright as a typical LCD or LED/LCD TV so does not look as good in a brightly lit room, more susceptible to burn-in (although this is not as much of a factor now, due to technology improvements in recent years, such as "pixel orbiting"), more heat generation, does not perform as well at higher altitudes, and shorter display lifespan (although this too is changing due to technology improvements - many Plasma TVs have a 60,000 hour or longer life), heavier weight, and more delicate to ship. What Is the Difference Between an LCD and Plasma TV? Should I Buy an LCD or Plasma TV? Another difference between LCD and Plasma TVs is the decision made by TV makers to implement newer technologies, such as 4K display resolution, HDR, Wide Color Gamut, Quantum Dot (sometimes referred to as QLED) technologies into LCD TVs, and not in consumer-targeted Plasma TVs. As a result, although Plasma TVs will always be remembered as providing excellent image quality, a growing number of LCD TVs have reached similar performance levels. However, LCD TVs still haven't matched the black level performance of many Plasma TVs, but another technology, referred to as OLED is available that not only gives LCD a run for its money in terms of black level performance but is a suitable replacement for a Plasma TV. 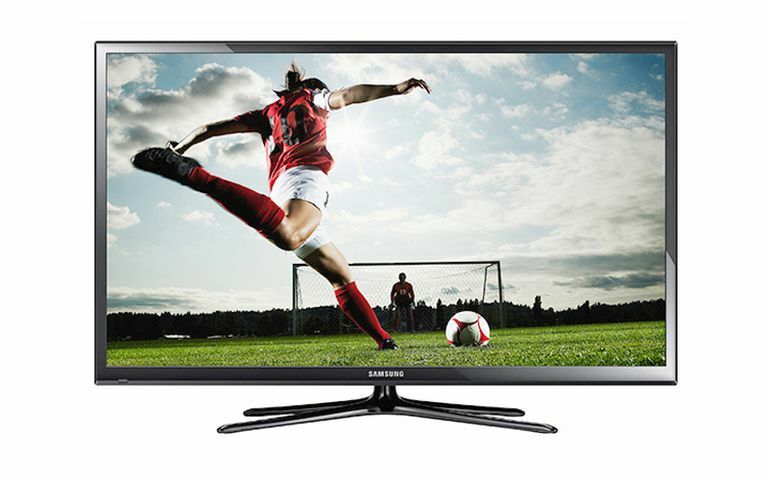 Before you buy any TV, compare all types and sizes that are available in order to see what will work best for you. Make sure the image on the screen looks good to you. Take into consideration how and where the TV will be used, and how it will fit into your decor. Consider additional costs to get up and running, such as the addition of a tuner, sound system, mounting fixtures, and other components. Make sure it is easy to use. Is OLED the Same as Plasma?